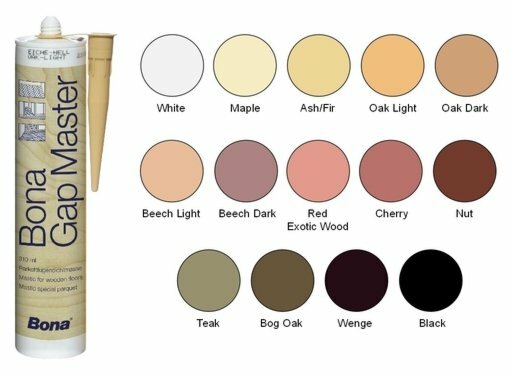 Bona Gap Master Filler, Oak Light is a silicone free mastic designed to fill gaps between parquet blocks, around skirting boards and door thresholds. It also can be used to repair damages and to fill gaps and cracks in the floor. This product is based on polyurethane and acrylate, Gap Master can be sanded and overcoated with Bona lacquers. It contains no solvents, is odourless and can be used with all parquet finishes. It retains a high degree of flexibility. The expansion is approximately 7%. 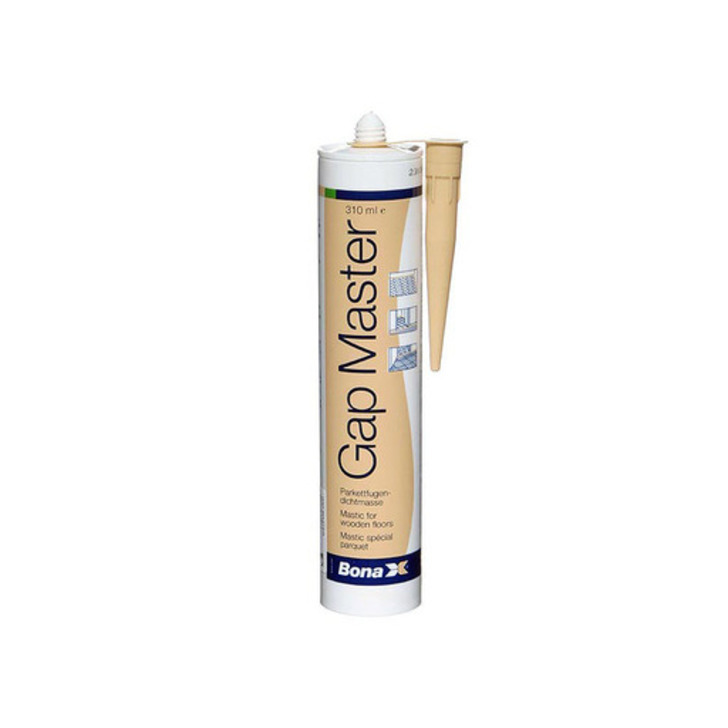 Bona Gap Master Filler is available in 14 colours.